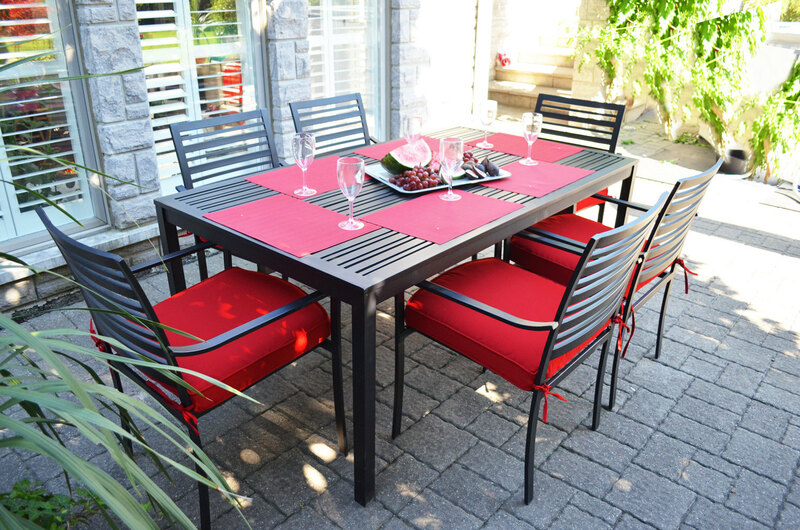 Dine outdoors with the Lexi 40"x70" rectangular cast aluminum outdoor patio dining table in black The Lexi collection is the ideal in transitional seating for easy outdoor dining. The open-slat design is also ideal for being able to quickly wipe and maintain a clean surface appearance. Smooth, rustproof black powder coated finish stands up to the elements.